Problems with water lines and looking for solutions? Come to us! People who are aware of the existence of plumbing systems at home would know what water lines are. These lines are nothing but water pipes that are distributed throughout your household. They work as nerves to your home that help in taking water to and from different places. Water pipes are the sole reasons why your toilets, kitchen sinks, basins work properly. However, there might often be problems with these water lines. Leakage and clogs are common when you have people residing in the house. We, Pro View Plumbing Service Providers, help you deal with those water line issues on a day to day basis. 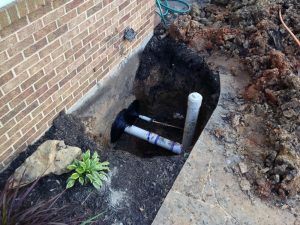 Let us take a look at some of the water line problems you may have. Clogs in the main water line: Your house will always have a main water line from where the water is supplied to the whole house. This is then distributed into other pipelines. The main line can get clogged at times if you have any underground obstructions such as debris or tree roots. This stops water supply in the whole household. We help you to fix that issue. Clog in other water lines: Now, if you see that water supply has stooped in the ground floor, it means, there is some issue in the pipelines there. The same applies for the first floor as well. This calls for checking and repairing the respective pipelines. These clogs mainly take place when we flush down unnecessary things like wipes, tissues, napkins and so on. Frozen water lines: People who live in cold regions will relate to frozen water lines. Due to sudden drop in temperatures, then water lines freeze in certain areas. This stops water from reaching the household. We help in mending frozen water lines instantly. Water line leakages: There can often be leakages in waterlines. this can cause less or no water supply to your household. Water leakage can also lead to damped walls and ceilings. Make sure you get them mended by us before it gets too late.